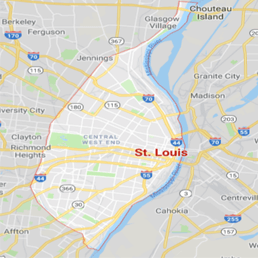 Homeowners in the Saint Louis area can depend on the water damage Creve Coeur and mold removal Creve Coeur pros with 911 Restoration Saint Louis for immediate assistance. Regardless of the time you discover your emergency, our water damage Creve Coeur and mold removal Creve Coeur pros are available 24/7/36, all year long. Act fast and don’t let a small leak harm your home. Our water damage crew will be the first to arrive with solutions and equipment. Contact our professionals at 911 Restoration Saint Louis. We know that a water damage situation can arise at any time, which is why we never stop answering our phones and providing assistance. As soon as our water damage Creve Coeur and mold removal Creve Coeur crew arrive the first thing we do is inspect the severity of your damages and prepare a detailed repair estimate. We also discuss a repair plan so you can be prepared during the restoration process. Once you decide to work with us, we get to the grind. By blocking off all affected areas, mold spores and bacteria won’t travel to other areas of your home. Then with the help of powerful equipment, we extract every inch of excess water and properly sanitize the areas with eco-friendly products. 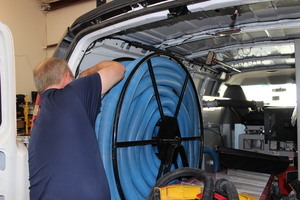 When the area is free of moisture, we dry out every area that was affected with powerful air movers and dehumidifiers. We want to make sure your home is free of any harmful elements. Our mold removal Creve Coeur techs are trained to pinpoint moisture spots in obvious areas and also areas that are not visible to the naked eye. 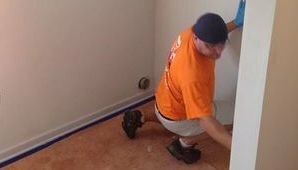 By using infrared cameras, we can look into wall cavities and under your floors. So you can expect your home to be safe, comfortable and restored even better than its original condition. If you discover a water or mold-related issue in your home, don’t fret and contact our IICRC certified water damage Creve Coeur and mold removal Creve Coeur pros with 911 Restoration Saint Louis. We understand that having answers and peace of mind during this time is absolutely crucial, so we pair every customer to an experience project manager. From helping you understand the restoration process to what is covered in your homeowner’s policy, we will address all of your concerns and answer all of your questions. Our project managers will even facilitate inspection days, and make sure our water damage Creve Coeur and mold removal Creve Coeur crew is there as well. 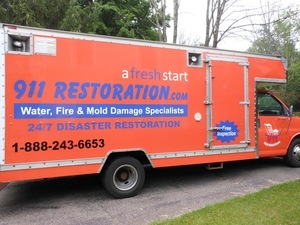 If you need a Fresh Start after discovering a leak or mold in your home, call the water damage Creve Coeur and mold removal Creve Coeur techs with 911 Restoration Saint Louis.